Your story is important and the more we own our story the truer we are to who we were created to be. Watch the first session FREE! Am I at the beginning of my creative journey and wonder what my next step is? Am I an established author or speaker investigating ways to communicate in a more effective way? Do I need a guide to help find my story for personal growth? Do I need a cheerleader to help encourage me to make the next right step? If you answered YES to any of these questions, I’d love to come alongside you and be your cheerleader! A time to gather insight on specific hurdles in your writing or messaging. An answer to “What do I do next” in regards to your message, outline, or creative block. With the 4 session coaching, I will assign activities that help to reinforce what we discuss. Are you local to Nashville, or would like to sit with Patsy and talk through your story while in the same room? Limited “in person” opportunities are available. If you are interested, please click here to email Patsy! Patsy is the author of over 30 books and she has trained hundreds of speakers and leaders for the platform. She has been a professional author and speaker for over 40 years and was one of the founding speakers for the Women of Faith conferences. Her message has reached millions of people during the course of her ongoing speaking career. Patsy remains an avid book reader, has a voracious love for words and is bonkers over her puppy, Mollie Moo. As if watching Patsy speak isn’t a ‘Speech 101’ class in itself, having her as my personal speaking coach did more for me than all my college communications classes, combined! Her style of coaching is encouraging yet challenging. And instead of conforming me to another speaker, she took the time to get to know me. Then, she helped me find “me” on a stage. She draws out your uniqueness and calls you to greatness. What a gift it was to work with her! Patsy Clairmont is an expert among experts. She communicates the story of life in a way that is infectious, challenging, liberating and invigorating. From the first moment I heard her speak, I thought to myself “how can I learn to communicate my story of life like she does?” So, as I nuzzled up to her to soak up her wisdom, I have learned that what even outmatches her communication craft is teaching others to discover their own communication craft. I’ve had the great privilege to call Patsy Clairmont my friend for many years but she is also my personal coach. Yes, I’m known as a singer, but I am a communicator of my life story in many ways. Through Patsy’s advice and expertise, she’s helped me uncover new and refined ways to sing, speak and generate a more fluid storytelling experience for those that I communicate with at concerts and events. She’s a pint sized powerhouse in more ways than one. And, I’m grateful for how she’s spoken into my craft for the good. 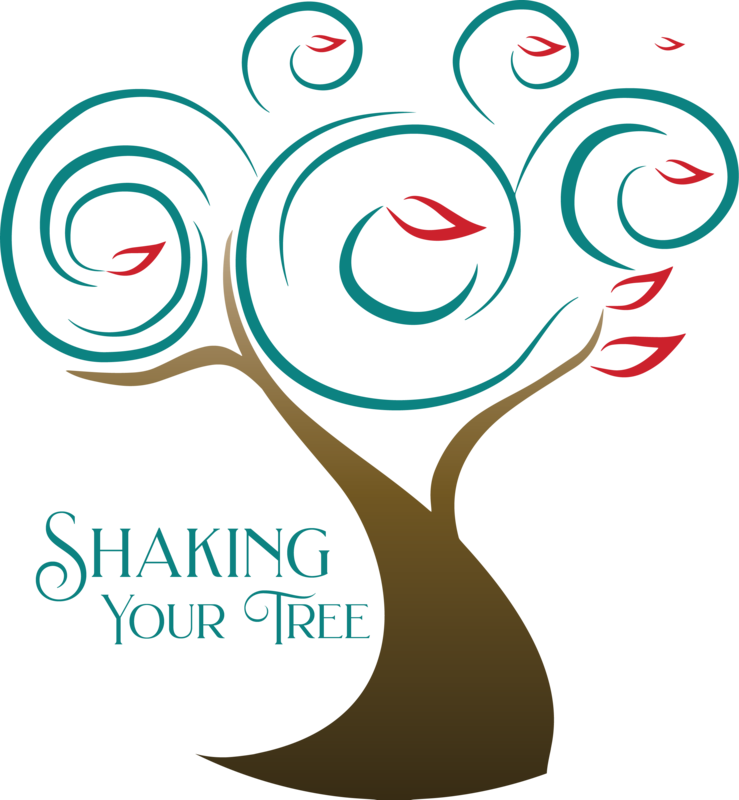 Patsy’s workshop will “Shake Your Tree” and rock your world! She will invite you to sit and chat under the shade of God’s Word. Her sweet smile and nurturing attitude will ingratiate you to her within just a few minutes. I learned that “there’s more to me than I know”. As a singer–I have truly understood the power of a song–the ways it can inspire, change, break and heal a heart. Patsy has helped me understand the same about speaking. She has coached me in how to integrate a personal story, humor and the scriptures to deliver a penetrating message. I am a better communicator for her contribution in my life. Once in a while, you receive the rarest of gifts: a person who ushers you into the next and better version of yourself. Patsy has served as that catalyst and friend to me, both personally and professionally. She saw a writer in me before I could see one in myself and has held my hand all along this ever-changing road. Patsy’s coaching is completely unique and her practices have served and inspired me far beyond her classroom. I stand among the many who have been utterly changed because of her influence on my life. Not only do I recommend her, I consider it my privilege to learn from her. Patsy is a constant source of encouragement, wisdom and help to those she leads. If you’ve been searching for clarity of voice, greater creativity and a strategy for moving forward, I have no doubt you will strongly agree. As President of Women of Faith from it’s inception until 2011, I had the privilege of serving with Patsy Clairmont who has become a dear friend. When I first heard her speak, I was so impressed both with her content and her delivery. In the more than a dozen years that we worked together, my love and respect for her grew and grew. She has perhaps the best delivery of any speaker I know. She is full of life and love for her audience and brings in her skill set a great understanding of and experience with a personal relationship with God. I learned early on that when new speakers came to us, I wanted them to spend time with Patsy before they ever walked on the stage. If they had something to say, she could help them say it better. Always. When we began The Revolve Tour for teenage girls, all of the speakers were young, enthusiastic and new on the platform. From the day they were selected to be a part of the speaker team, they were coached by Patsy and most of them became great communicators. She has a knack for knowing what somebody wants to say and I know no one better at helping them say it well. She is the best. If one is great on the platform, Patsy helps them be greater. If they’re new, she helps them find their way. Patsy has been instrumental in helping me develop as a writer and as an individual. She has taught me skills which transcend the pages of written word into life lessons which I carry with me each step of my journey. I am indebted to her and her willingness to invest in me. I have been a professional speaker for over a decade but Patsy Clairmont took me to a whole ‘nother level…deeper. She taught me how to connect with an audience by first connecting within myself. I highly encourage anyone to take advantage of the opportunity to be coach by the best!